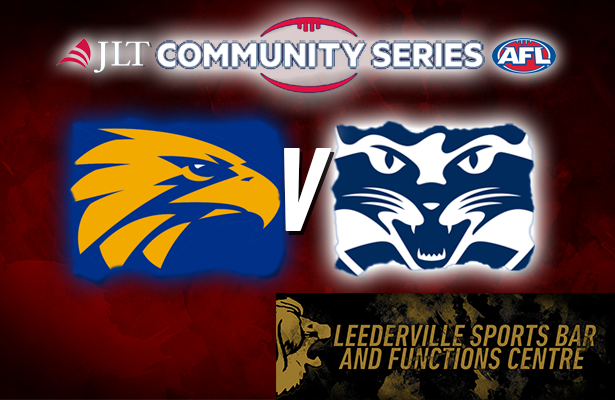 With the West Coast Eagles set to commence their 2019 season in the JLT Community Series at Leederville Oval, the Subiaco Football Club has a range of packages for this game, allowing you to watch the action from some of the best seats in the house within the Leederville Sports Bar & Function's Centre. The West Coast versus Geelong match is scheduled for Friday March 1 with a 4.10pm first bounce, and will mark West Coast's first official fixture since winning the 2018 AFL Premiership. 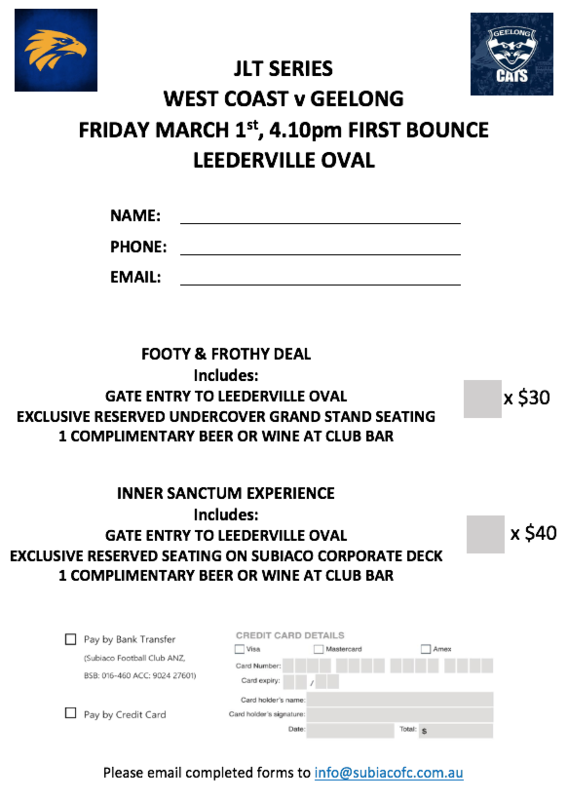 The Subiaco Football Club is offering a special "Footy & Frothy" deal to members and footy fans. For $30, you can gurantee yourself a spot in undercover seating for the match, have your match ticket included, as well as a complimentary beer or wine on arrival to watch the action live. Those with the "Footy & Frothy" deal will have their own reserved seating and is the only way to guarantee your seat in the Leederville Sports Bar & Function's Centre, so book now to avoid disappointment.